My top is made out of rubber, my bottom is made out of springs. I’m bouncy, trouncy, flouncy, pouncy, full of fun, fun fun, and the most wonderful thing about Teddy is that I am the only one! I love to hop, love to wiggle and love to play all day! 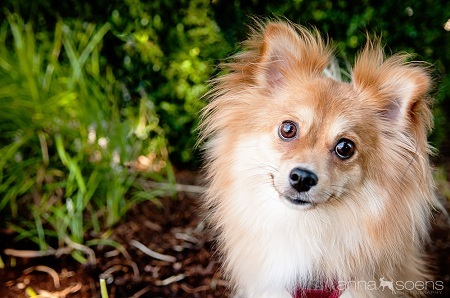 I am a goofy Pomeranian mix who needs a place to stay. At 1 1/2 years old I’m looking for that special someone who can see me for what I am, a super lovable ball of energy! I get along well with other dogs and am great in my crate. I do take a little time to warm up in new surroundings, and since I like to be the fastest one in the room I prefer a home with no children. What do you say, want to see me in action? Well fill out an application and send it in! I am fixed, vaccinated and microchipped. My adoption fee is $200.